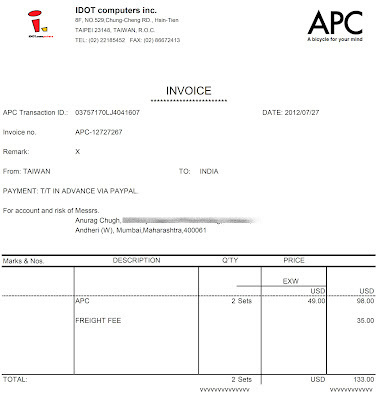 The other day (11 June 2012) I ordered 2 units of APC. The VIA APC is a low-cost ($49) single-board computer designed to run the Android operating system. (wikipedia article). The total cost was 49+49+35 = 133 USD. 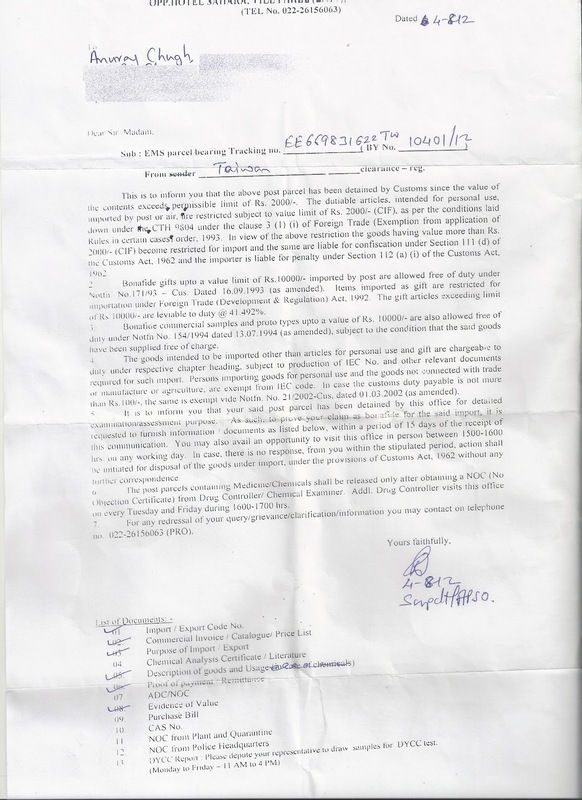 Its illegal to import stuff having value of more than 2000 INR. But a friend can send you an article as "gift" worth upto 10,000 INR via EMS. If you violate the above rules, the article will be confiscated and you will be fined. I could mail them the documents via speed post. 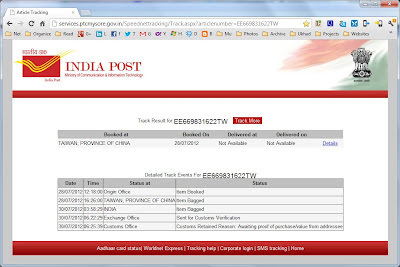 The package would be released on receiving valid documents and forwarded to my local post office for delivery and collecting any associated duty if any. The security guard at the gate made an entry in visitors register which I signed and informed me that the offices I wanted to visit was on the first floor. The first floor was sort of like a terrace/quadrangle with a passage running along its perimeter leading into various offices. I found the office that I wanted and saw a few people waiting outside it, the security guard stationed outside this office asked me to wait till the attended arrived. I was made to make an entry in a register specifying a BY number (specified on the letter which I had received) and asked to wait outside again till my package was located. About 45-60 mins later, I was called in again, and asked to produce documents affirming the value of the goods. I showed them printed copies of the invoice and the credit card accounts statement. They told me that a fine would be levied along with the duty: i.e. 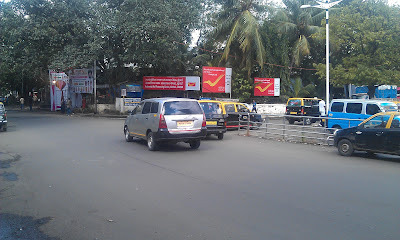 5000 INR (fine) + 3110 INR (duty at 41% on 7581.80) = 8110 INR which is even more than the amount I paid for the goods. 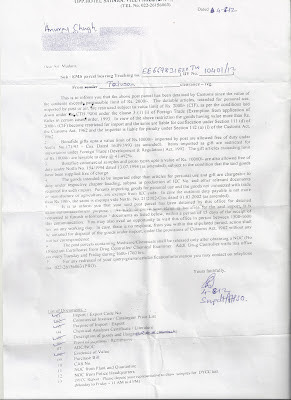 I told them that I had received goods of similar amount earlier and the was never fined, only a duty was levied. (I had collected my CuBox from my local post office by paying a duty of 3600 INR on the value of 8800 INR). The officers there opened the package in front of me and inspected the items within. They asked me if I was a student or a working professional and a few other personal question which I answered promptly. They agreed to impose only the custom duty on the device. They returned the invoice and other documents back to me and told me that the package would be forwarded to my local post office. From the there the postman will deliver the package to my home and collect the duty from me. While exiting the office I met an agent/consultant of sorts which do the running around such government offices for you in case you want to import/export something. He told me that if I apply for an import/export code (IEC) from the Directorate General of Foreign Trade's website (http://dgft.gov.in), I would be able to cut down the hassles involved in clearing customs and also cut down the customs duty levied on the article. IEC can be applied for by individuals as well as registered companies and "seems" to be the "legally correct" way of getting stuff from abroad. He told me that if I had an IEC, the duty on the imported goods would be applied depending on the category of the goods instead of the flat 41% on the total value of the package. So in my case (electronic items) the duty would have been 16% instead of 41%. Also, I believe the duty would exclude the shipping costs of the article. Right now a flat 41% on the invoice amount means that I would be paying duty on the shipping charges which was a part of the invoice amount. 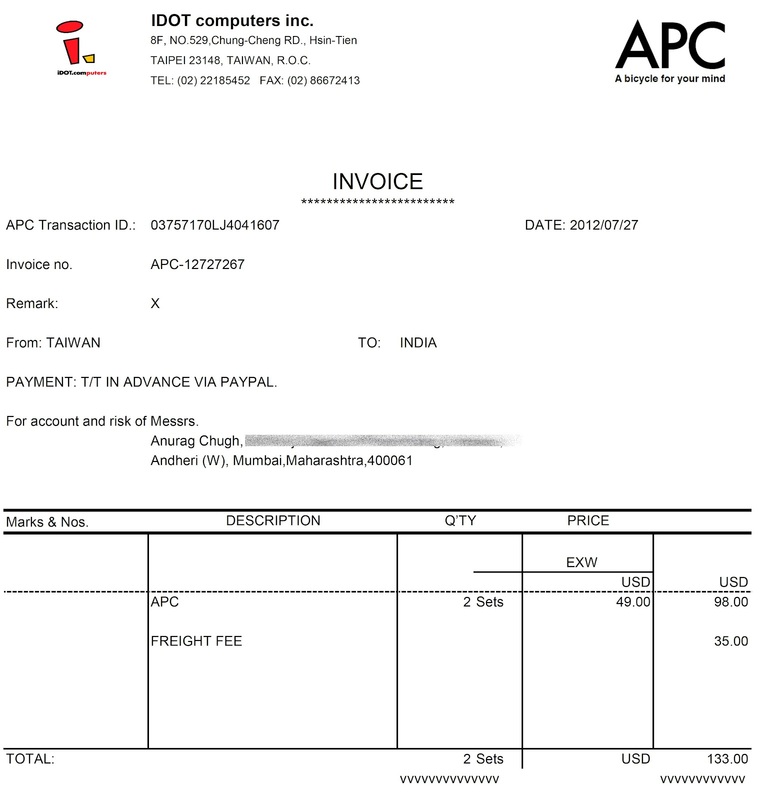 This means that of 3110 INR that I have been asked to pay for the 2 units of APC, 800 INR is due to the 35 USD shipping charges. I haven't yet gone through the foreign trade policies and procedures available on DGFT's website yet, but I guess if you regularly buy stuff over the internet from foreign firms, it would be in your interest to familiarize yourself with these rules and apply for an IEC code. Wouldn't it be nice if we were given an overview of various departments of our government and their policies and procedures in school/college? It's such a pain to remain clueless for days all because you don't know which department to contact and you end up waiting for them to contact you. It is not manufactured/sold locally in India. It is sold cheaper abroad and it will still be cheaper when you account for custom duty/shipping charges. Order stuff online using your credit card and get it sent to your friends place abroad and ask him/her to carry it back for you on his/her next visit home. 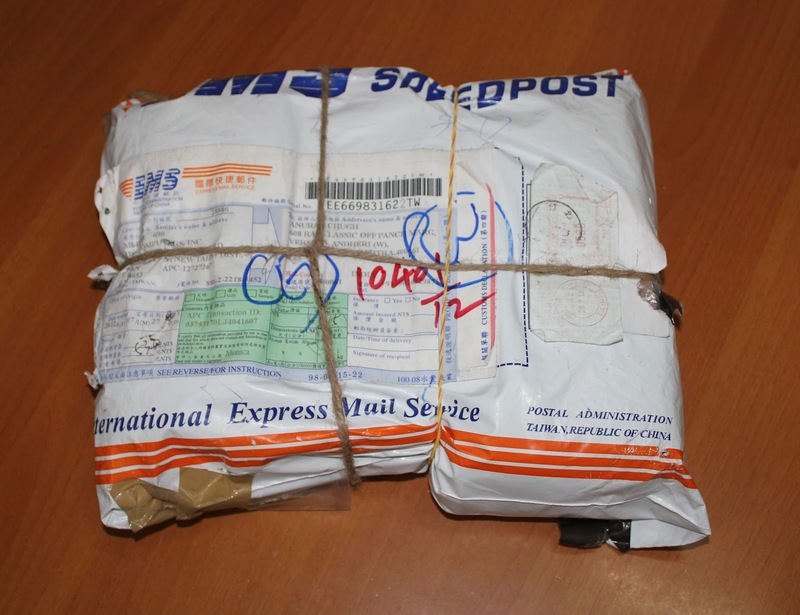 The only shipping charges are that of the domestic type where the seller ships the item to your friends place abroad. Only thing is that you have to wait for your friends visit or keep a perpetual look out for home visit schedules of people staying abroad. Order stuff online and get it shipped via FedEx/UPS/DHL or some other professional shipping company: You get your goods really quick and the shipping company expedites and takes care of the customs assessment procedures and collecting duty from you. Downside is that shipping via these companies is expensive. Order stuff online and get it shipped via EMS/SpeedPost: Very cheap but very time consuming as the experience above shows. There is another option of getting stuff India which I am going to try the next time: Order stuff online using your credit card and get it sent to your friends place abroad. Try to convince the seller to not include the shipping charges (even though it is domestic shipping between the warehouse and your friend's house) in the invoice - if possible as your friend to bear the shipping charges separately like for example using a FedEx account number etc. You can order stuff having value equivalent of upto 10,000 INR (i.e. 180 USD). 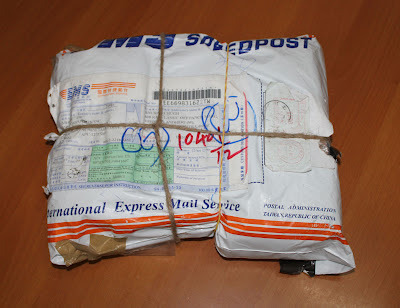 Ask your friend to forward the package via EMS/SpeedPost with the invoice attached to the outside of the package clearly visible. Also ask him/her to include a letter (again attached to the outside of the package) saying that the items within the package are meant as a gift for you. So, S and R, I am going to trouble you for this soon. 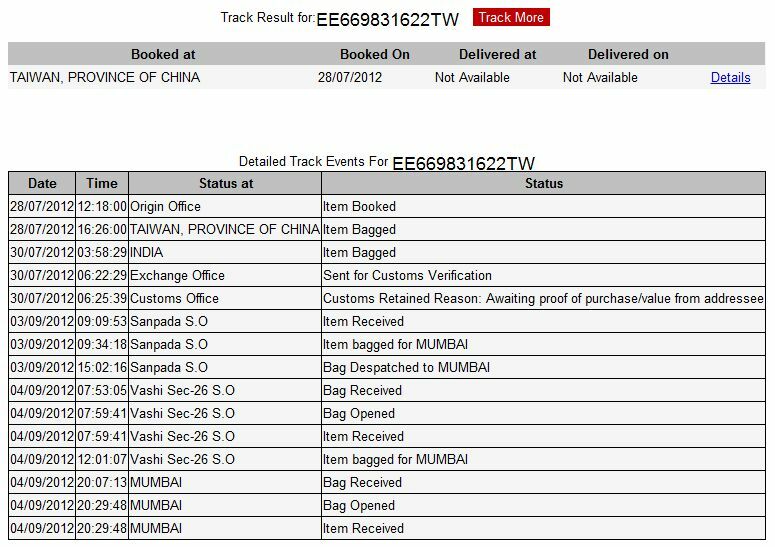 WHY WAS MY PARCEL SENT FROM MUMBAI AIRPORT TO SANPADA AND VASHI INSTEAD OF VERSOVA??? STUPIDITY!!! ARRRGGHH!!! Seems like those APCs are being treated to Mumbai Darshan! 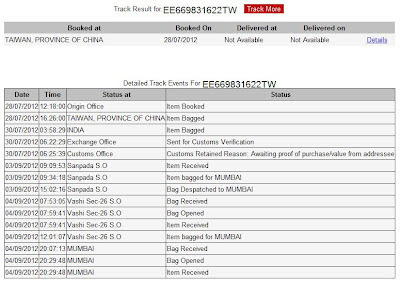 The package finally arrived, on the 6th day after visiting the customs office. 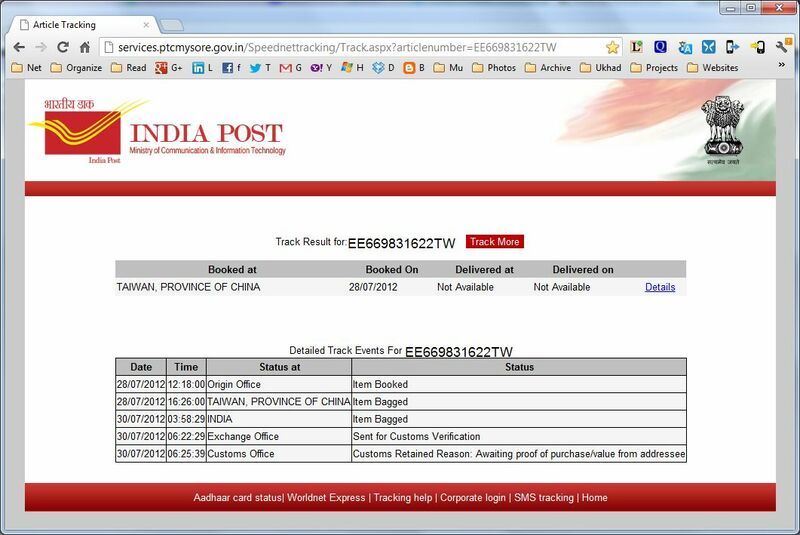 Had to pay the postman a duty of ~ INR 3100. All in all, a very frustrating experience! Great stuff detailing the whole process.. I have received a similar letter and did not know what to do. Your advice may be saved me from getting fleeced by some agent or custom officer. The only thing that you can do to get this sorted is to physically visit the office on a working day and talk to the officers there. You also take help from the consultants/agents who will guide you what exactly to do. Bottomline is that you will have to take time to visit the office!! Really helped me alot. Even there are some agents who clear through the customs.